Club16 Trevor Linden Fitness & She’s FIT! is a value-priced fitness club with all-inclusive memberships starting as low as $4 per week! We offer a variety of cardio & strength equipment, as well as add-on personal training. Club16 Trevor Linden Fitness is a complete fitness facility with full showers, change rooms & lockers. 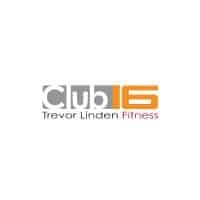 Sales Representative | Club16 Trevor Linden Fitness / She's FIT!